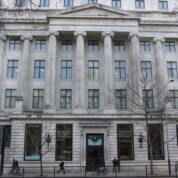 The Wellcome Collection is located on Euston Road and provides a forum for aspects of science, art and everyday life to be explored by means of exhibitions, special events, and at the extensive Wellcome Library. We started on the ground floor at the current temporary exhibition, Brains: The mind as matter, which looks at what humans have done to brains throughout history in the causes of medicine, science, cultural understanding and technological advancement. This fascinating exhibition considers how the brain has been measured/classified, mapped/modelled, cut/treated and donated/taken, with exhibits ranging from medical equipment, models and specimens to artwork and sculpture inspired by the anatomy, physiology and function of the brain. Anyone of a delicate constitution beware, some of the exhibits contain sensitive material that you may find disturbing (such as a film of brain surgery, and historic footage of ECT being administered). 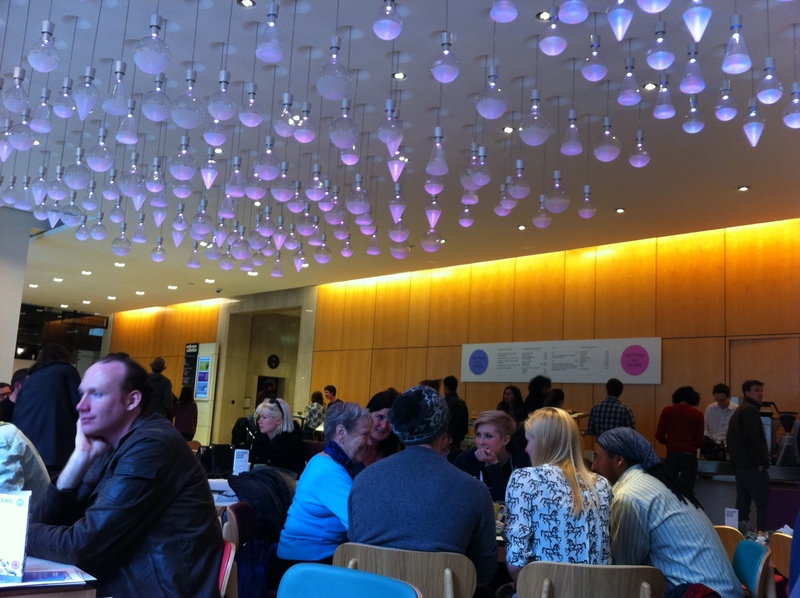 A trip up to the first floor takes you into the Wellcome Collection’s permanent galleries. Medicine Man is an exhibition of objects drawn from the huge personal collection of Henry Wellcome, a philanthropist and patron of science who founded the famous Wellcome Trust charitable foundation (conducting research into human and animal health). The collection contains an eclectic mix of items from historic surgical tools, prosthetic limbs and medical teaching models to a lock of King George III’s hair and a Peruvian mummy. Medicine Now is an exhibition covering science and medicine since Henry Wellcome’s death in 1936. The exhibition covers four topical issues: malaria, obesity, genomes and the body, using exhibits from science, art and everyday life. There are also interactive exhibits, such as drawers full of objects relating to the four medical themes featured, listening posts with sound recordings from various experts, a browsing area and a forum for visitors’ feedback. The Wellcome Collection is unlike any other London destination that we’ve visited. Granted, there is not much entertainment for babies compared to, say, a city farm or park. Nonetheless, there is plenty to interest adults and the Wellcome Collection has all the facilities you need to visit with a baby. Older children will no doubt be inspired by (and ask lots of questions about) the exhibits and art on offer and Young Explorer Packs are available for 5-10 year olds. You may need to exercise judgement about the suitability of some of the more sensitive material (for example, the mummy, the films mentioned above etc.) for your children. 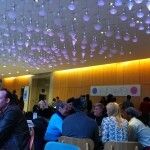 Entry to the Wellcome Collection is free. There are baby changing facilities on the ground and first floors. The Wellcome Collection is fully accessible to pushchairs. Young Explorer Packs are available for children aged 5-10. There is a licensed café, run by Peyton and Byrne, on the ground floor. The café offers hot and cold drinks and snacks. As a rough guide a cappuccino costs £2.20, a filter coffee is £1.50. High chairs are available. The galleries are open 10am to 6pm Tuesday to Saturday (late night opening on Thursday until 10pm). 11am to 6pm on Sundays. Closed on Mondays. The café and bookshop are open every day. By train: The nearest stations are Euston (Northern and Victoria Lines, London Overground, National rail), Euston Square (Circle, Hammersmith and City, Metropolitan Lines), Kings Cross St Pancras (Northern, Victoria, Piccadilly, Circle, Hammersmith and City, Metropolitan Lines, National rail) and Warren Street (Northern and Victoria Lines). Kings Cross St Pancras has lifts between the street and platforms.